Are you or a loved one addicted to heroin and interested in detox and rehab? If so, Banbury Lodge is dedicated to helping you achieve a permanent heroin-free life. All our staff are in recovery from a range of addictions (inc. heroin) while many have been through detox and rehab themselves. Furthermore, our 160 nationwide beds & rehabs are best-in-class, CQC regulated, and we have a range of multi-cost options to suit your budget, with free family support and lifetime aftercare as standard. For more information about treatment costs & locations please call us on 0203 553 3757 or talk privately with our addiction counsellors on LIVE Chat! We understand that going to rehab can seem daunting and you may like to learn more about our modern, safe and comfortable recovery home from home. Please feel free to view our gallery and call us to arrange a physical tour of our grounds where you can meet the team and ask any questions as they arise on the day! Heroin addiction has been a problem for many decades and a wide range of approaches exist to tackle it. In general, the most effective course of action is usually deemed to be a combination of residential rehab and ongoing therapy, although each addict will have different requirements and limitations and treatment needs to reflect those. Methadone is a prominent drug used to treat heroin addiction. It is taken orally and is slow-acting; it helps to prevent withdrawal symptoms while also reducing the heroin “high” to disincentivise users from taking the drug. There are also various medications which can be prescribed to treat specific withdrawal symptoms, which might include sedatives, antipsychotics and antidepressants (though these last are unlikely to be prescribed to treat short-term symptoms such as those manifesting during peak withdrawal). Various therapy models have been demonstrated to show great results in treating heroin addiction, including cognitive behavioural therapy (CBT) and motivational therapy (MT), and individual rehabs may offer several different models: an addict may need to try a few before settling on one which feels right for them. A medical heroin detox facility is a treatment centre that is staffed with doctors and nurses specially trained to help patients cope with the unpleasant withdrawal symptoms that occur early heroin abstinence. Without medical care, these withdrawal symptoms can be unpleasant, dangerous and even life-threatening. People enter a medical detox facility so that they can withdraw from heroin safely and in relative comfort. 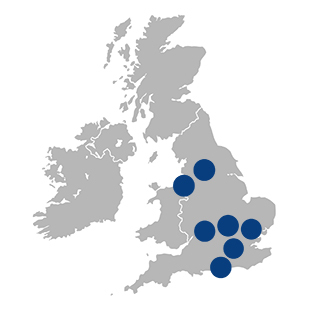 Long-term: we have built the UK’s first recovery network for all those who have attended a UKAT treatment facility. Our lifelong recovery network is called Alumni– a gateway to lifelong sober companionship. Events include Christmas parties, dinners, adventure days out and, of course, summer BBQs.